We made reservation for 40 on a Saturday night when there was a Leafs game. This is a pretty good test! It was a busy night with every TV broadcasting the game, not to mention, there was another large party there. We arrived and took over the area below the bar. We ordered a few apps per table and they were pretty good. We chose Nachos Grande, Feta Bruschetta, and a few Munchie platters per table. We were all happy with our apps. They were hot and fresh. 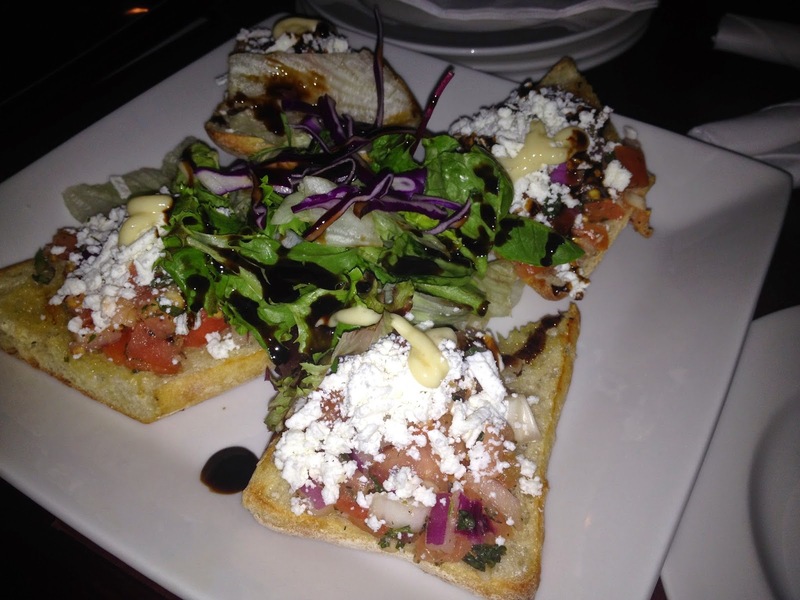 I quite enjoyed the bruschetta and the potato skins. Mmmmm. Time for the main courses. They all arrived at once, which is impressive enough, and they were hot. Excellent. 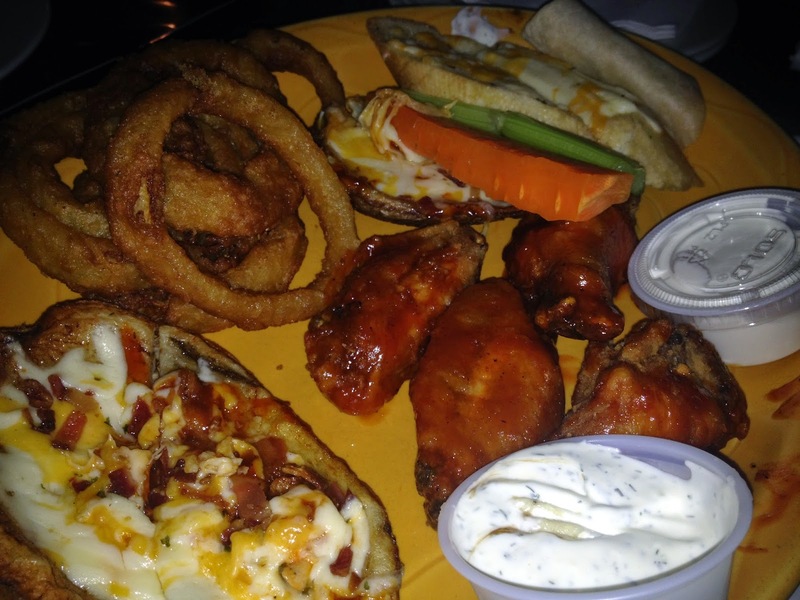 The most popular choices were the Twisted California Salad, Wings and Chicken Goat Cheese Wrap. The salads got rave reviews. The romaine hearts and spinach were pilled high with chunks of fresh avocado, roasted red peppers, goat cheese, shredded carrots and roasted almonds. This is a definite winner. The wings got mixed reviews. They were large and juicy, but the sauces weren't hot enough. A few of my spicy friends didn't enjoy the flavour or heat level of the hottest sauce the offered. 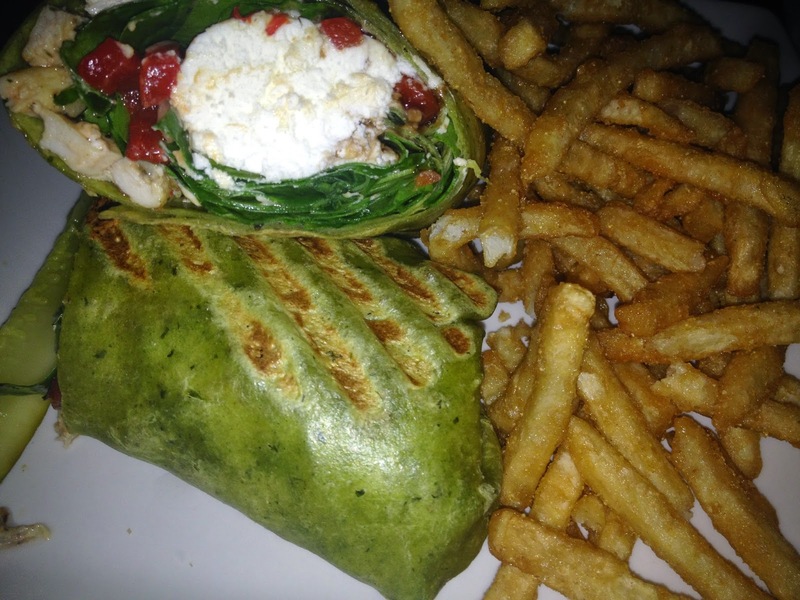 The Chicken Goat Cheese Wrap was AMAZING. One of my friends orders it every time and I can see why. There is no shortage of anything in this wrap. 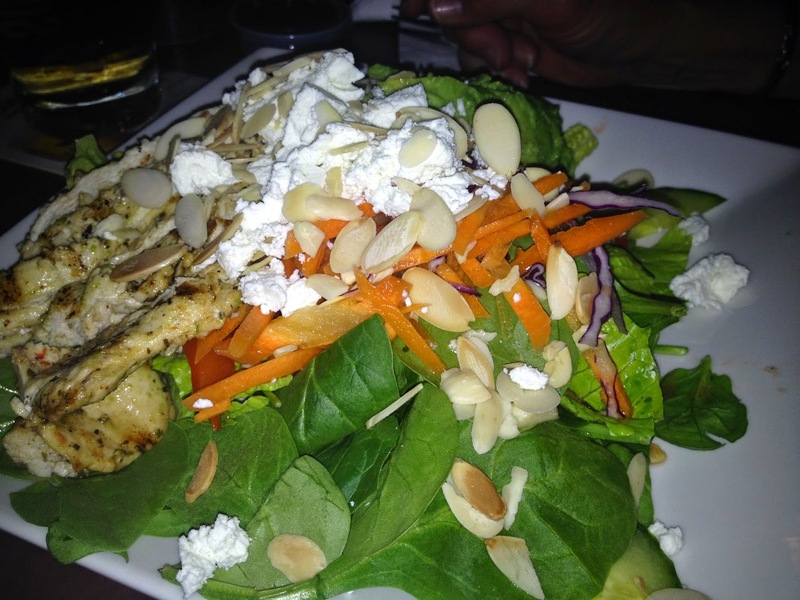 Roasted red peppers, crisp spinach, tender balsamic chicken and a boatload of goat cheese, how can you go wrong?! The sweet potato fries were excellent, but the sauce that came with it wasn't very good. All I did was cough because it was tickling the back of my throat. I think it was supposed to be spicy, but the fries don't need it. The regular fries are pretty good too! The service was fantastic and the prices were very reasonable. These cooks and servers worked hard to bring us quality in such a short amount of time and they did it well. Our tummies were full and our glasses were never empty. I would eat here again...I think I hear that wrap calling me.